Howard Miller Blackmoor Accuwave II. These clocks receive a radio signal from the most accurate clock in the world, the cesium atomic clock, transmitted from the National Institute of Standards in Fort Collins, Colorado. 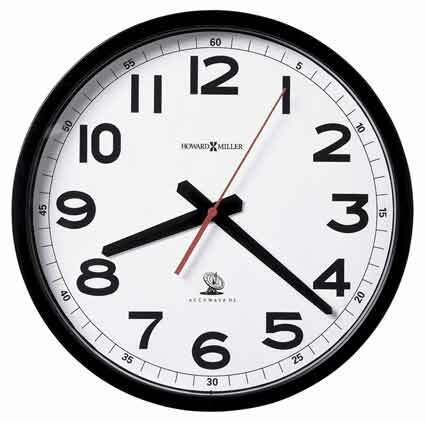 The radio signal that covers the entire United States will keep your clock accurate to within one second over one million years. 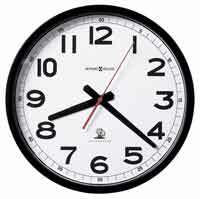 You will never have to reset the clock, even for daylight-savings time. 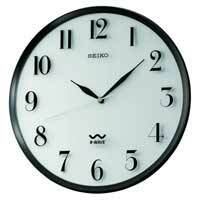 Easy-to-read wall clock with a white dial and matte black finish. Radio Controlled, quartz, battery operated movement. Size: Dia. 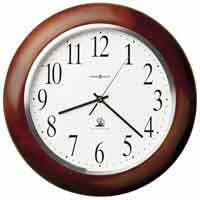 12 1/4" D. 2"
Clocks for sale at The Clock Depot including the 625-205 at discount prices.